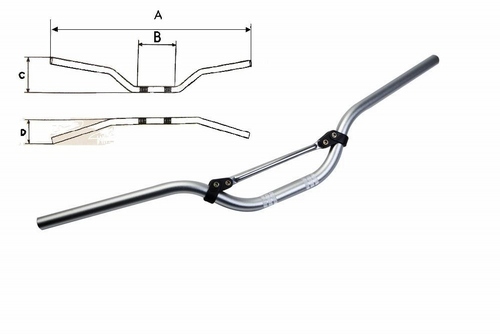 Tommaselli Aluminum handlebars are extremely rugged, with a popular bend. Available in polished finishing only. Fits all modern and vintage bikes using a 7/8" triple clamp diameter.